delivery & installation ;for most of Newburgh, Chandler & Boonville Indiana. We also do bed weeding shrub pruning and landscape maintenance. Metal edging (aluminum or steel) available in black brown or green. Mulch serves two purposes. It is used as insulation for plants & helps hold moisture. It also provides decoration in a plant bed. Mulching is usually done early in the Spring or la little later in season after the shrubs are trimmed. Will mulch keep weeds out of my landscape beds? Mulch will help keep most weeds out of beds and make it easier to pull any that do come up. A good landscape fabric under the mulch and pre- emergent treatment help also..
What’s the best kind of mulch to use? A. 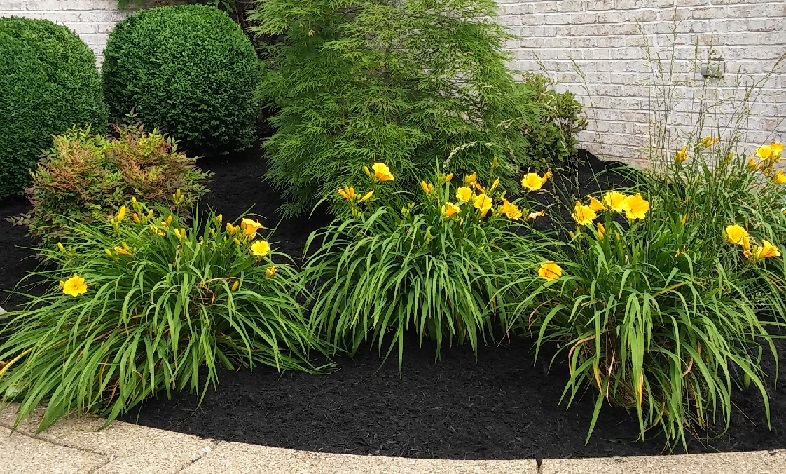 The type of mulch you use depends on your landscape. Colored mulches (red mulch, brown mulch & black mulch are the most common) tend to add contrast to shrub and garden beds. Natural hardwood mulch and pine straw have a traditional look and blend well with all applications. 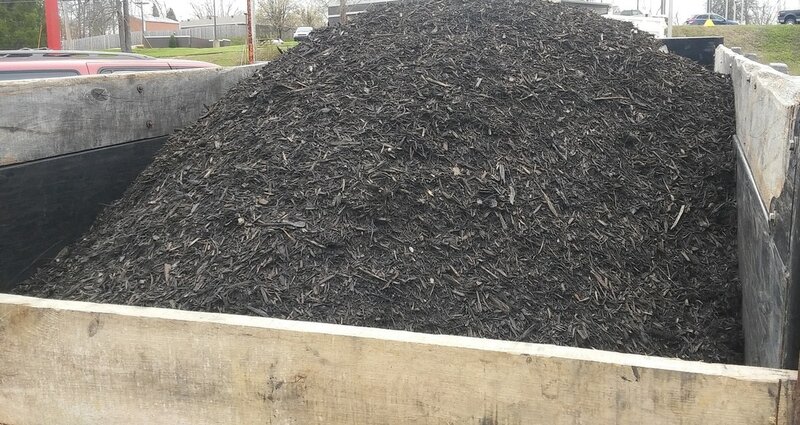 ​How much does one yard of mulch weigh? It can vary greatly. 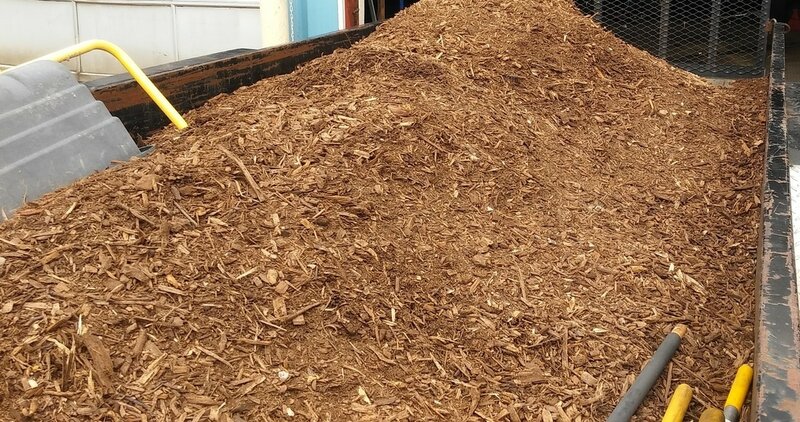 A yard of mulch can weigh between 300 and 600 pounds, depending on the moisture content.